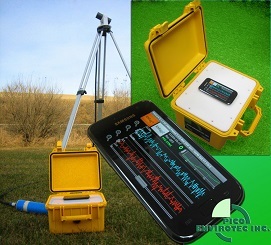 Pico’s latest generation of magnetometer system is arguably the most advanced system available, featuring cutting edge magnetometer processor board integrated with data acquisition and navigation system (IMPAC-M), state of the art magnetic compensator (PEI-COMP) and bundle of software with unique algorithms. Magnetometer systems can be configured to be installed in various ways in both rotary and fixed wing platforms and if needed, installation assistance and extensive training programs can be provided. Typically Total Field or Gradient Magnetic system is installed as aircraft-mounted tail-boom and/or wing-tip pods. The IMPAC-M along with PEI-COMP makes it a complete turn-key system for fixed wing magnetic applications. The IMPAC-M can support up to 8 cesium optically pumped magnetic sensors, acquiring the data with 1200Hz internal sampling rate. Magnetometer sensor mounts (boom or wing-tip pods) are built and can be certified for particular aircraft. Pico provides standard kits for installation on most of the common aircrafts that are used for airborne surveys. 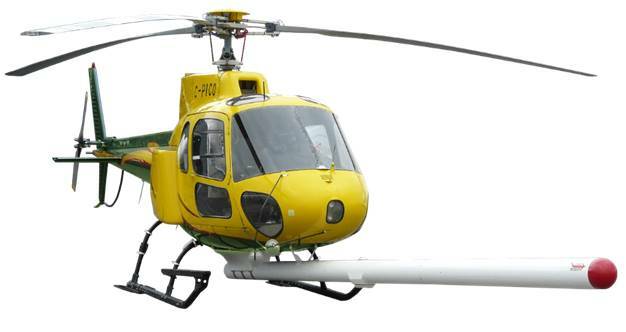 Helicopter platform is ideal for Magnetic surveys due to lower flight speed and altitude in comparison to fixed-wing platform. Magnetometer sensors for measuring Total Magnetic field or Magnetic Gradient can be installed either in helicopter mounted booms, or in helicopter towed bird. Installation in helicopter attached booms provides simplified operations, but requires magnetic compensation (PEIComp) integrated with IMPAC-M. The towed bird installation simplifies operations and can be attached to any helicopter as a hook load and does not require magnetic compensation. Pico Envirotec Inc can assist with design and manufacturing of helicopter mounts (boom or towed bird) – helicopter type (make and model) information required. Any Magnetic survey requires observed data to be corrected for diurnal magnetic field variations. Pico offers the Magnetic Base station system (PBM) that can support up to two Cesium Magnetometer sensors simultaneously. The system is based on high resolution magnetometer board and the state-of-the art wireless technologies. The easy-to-operate data acquisition interface is design on Android platform. The system is a compact solution for any type of magnetic survey.